If you are looking for a wall mounted heat pump and air conditioner with full features and a competitive price the Carrier 42QHC012D8S model with 3.5KW / 12,000 Btu output is certainty worth considering. Built in features include a turbo function to reach the set room temperature quickly with an intuitive and easy to use remote control. 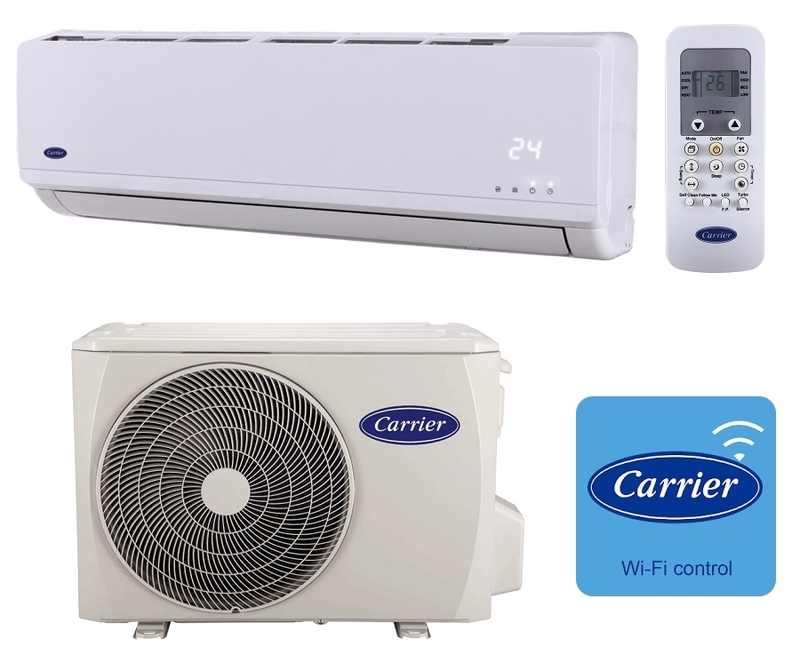 Carrier has made it easy to add Wi-Fi functionality you simply open the indoor unit cover and plug in the Wi-Fi dongle simple as that. You can then download the Carrier app and operate the system via your smartphone or tablet device if required.